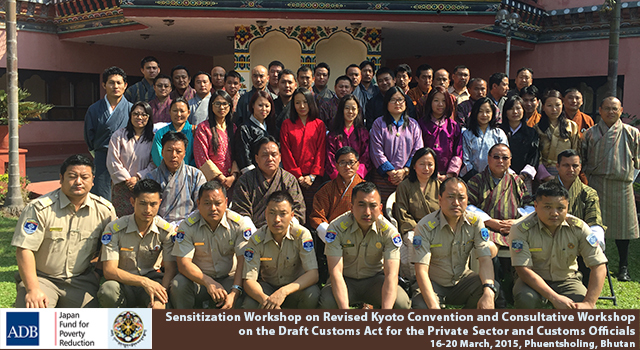 Bhutan’s Department of Revenue and Customs (DRC), Ministry of Finance conducted a series of sensitization and consultation workshops on the Revised Kyoto Convention (RKC) and Draft Customs Act from 16-20 March in Phuentsholing, Bhutan. 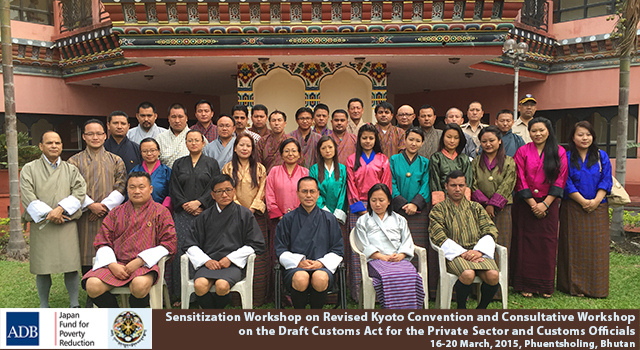 The Workshops aimed to sensitize the private sector on RKC provisions and related Customs reform work, as well as consult with stakeholders on the amendments to the Customs Act drafted by DRC, following Bhutan's accession to the RKC in September 2014. 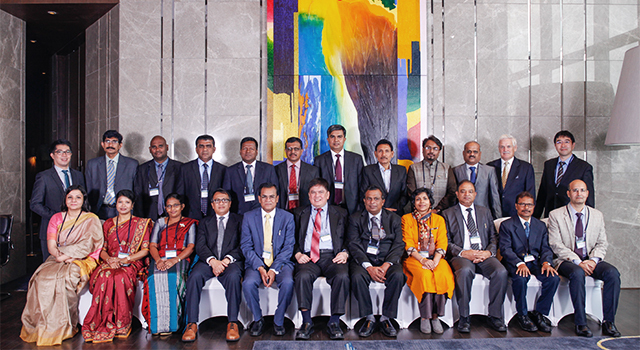 Discussion of RKC and Customs reform initiative under the South Asia Subregional Economic Cooperation (SASEC) Trade Facilitation Program. The private sector was briefed on provisions of the RKC, including the Customs reform process, and the General and identified Specific Annexes of the RKC, as well as Bhutan’s accession to the RKC and resultant benefits. Consultation on the Draft Customs Act. 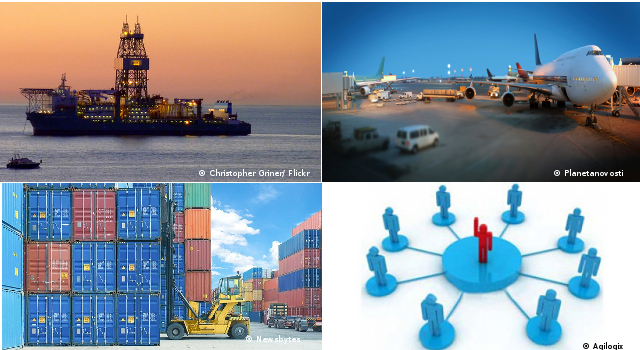 The Draft Customs Act was presented in detail, including related RKC provisions. The private sector consultation generated useful feedback, and established that understanding and partnership between relevant stakeholders will contribute to effective implementation of the revised Customs Act. Consultations with Customs officials emphasized how Customs processes are designed to facilitate faster and more efficient flow of trade. One session clarified practical details related to the implementation of RKC provisions, and highlighted the need to prepare comprehensive Rules and Regulations before the amended Customs Act comes into force. Inclusion of the private sector, as appropriate, in future capacity-building initiatives and events. Representatives from the private sector include participants from the Bhutan Chamber of Commerce and Industry, Druk Holding and Investment, the State Trading Corporation of Bhutan, clearing and forwarding agents, and business associations. Participants from Customs include officials from all Regional Revenue and Customs offices and officials from DRC headquarters. Mr. Yonten Namgyel, Director; Mr. Tenzin Norbu, Collector; and officials from the DRC SASEC Project Management Unit conducted the workshops. Mr. Namgyel, in his opening address to the participants, highlighted the importance and benefit of Bhutan being a contracting party to the RKC. He stressed the need to simplify and harmonize Customs procedures and practices, the role of Customs officials in facilitating trade, and the need for cooperation and support from all stakeholders. 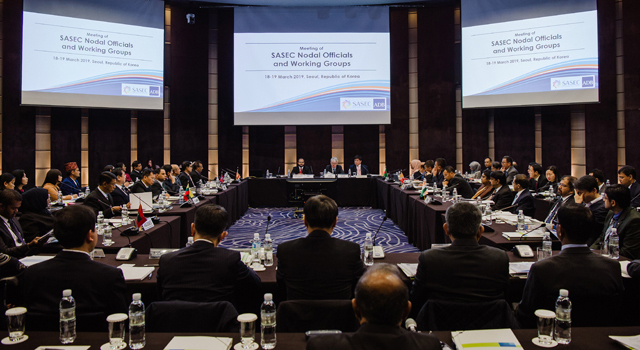 The Asian Development Bank, through a Japan Fund for Poverty Reduction technical assistance project, financed the workshops and provided logistical arrangements and support.